Gov. Imee Marcos asks the House not to hide from the President the “Ilocos 6” when he delivers his second State of the Nation Address or SONA. The Congress prolongs the detention of the six Ilocos Norte officials despite calls from legal experts. House Majority Leader Rodolfo C. Fariñas initiates the case but seems discrete enough not to divulge the details to the President. 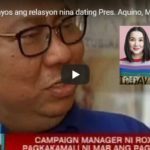 [VIDEO]: Hindi pinagbiyan ng Mababang Kapulungan ng Kongreso ang hiling kahapon ni Ilocos Norte Congresswoman Imelda Marcos na palayain na ang Ilocos 6 na dalawampung araw ng nakaditine. Marcos pleads to Speaker Pantaleon Alvarez and Majority Floor Leader Rodolfo Fariñas to have the heart to give mercy and compassion to their fellow public servants. She fears that the Ilocos 6 can be hidden in isolation cells. This is a way for Alvarez and Farinas not to be “reprimanded” if the President found out about their degrading situation. Marcos is aware that the House leadership desperately looks for a place where they could temporarily hide the six employees so as not to distract the SONA. The lawmakers did not even respect her mother’s earlier plea to be merciful to those government employees. The former First Lady, Imelda Marcos is also a member of the Congress. Her Brother Bongbong Marcos widely criticizes the House’s cruelty as well. It even responds by giving the threat to detain him also for contempt. The six officials are very careful not to comment on the digital copies of the missing documents with the governor’s signature. 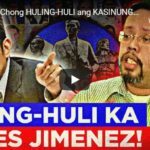 They are aware that Fariñas can fake the said evidence. Their lawyers warn them that to testify under oath with a fake evidence is against the law. They can’t expect anything from the Ilocos 6 anymore. Especially now that the missing documents are found to be stolen by Fariñas’ aid. Go. Marcos even led the group in filing a petition asking the High Court to take jurisdiction over the case. The aim is to stop a probe being conducted by lawmakers and issue a writ of Amparo. This can stop the issuance of a subpoena against her to force her to testify in Congress. However, 3 justices inhibit from the case and it is now pending. 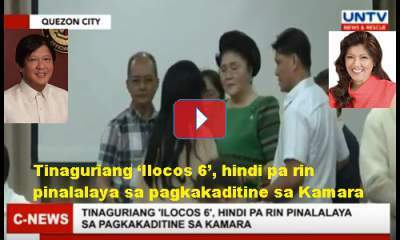 Previous post: Can the Congress Stop Bullying ‘Ilocos 6’, Imee Marcos Now that the Missing Documents are Traced? Next post: Can the President Declare Nationwide Martial Law during SONA? Cong Farinas & the congressmen have no right to compell a witness to testify in accordance with their desired answers, all the more to testify on documents which maybe fake inasmuch as the originals are not being shown to the witness. 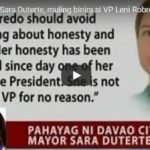 Nabobobo sina Farinas dahilan lamang sa kanilang kagostohang ipasagot kahit hindi karapatdapat sagutin. 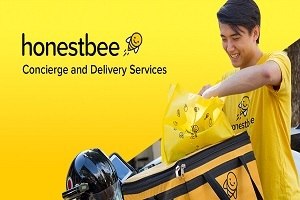 Hindi na kayo nahiya sa sambayanag pilipino. Mga p.t.ng i.a k.yo!